Solid lid pad 2 1/2"
Solid Base pads 2" and 1/2"
Diced "Pick & pluck" Foam base 2"
O.D. 17.72" x 14.17" x 5.51"
I.D. 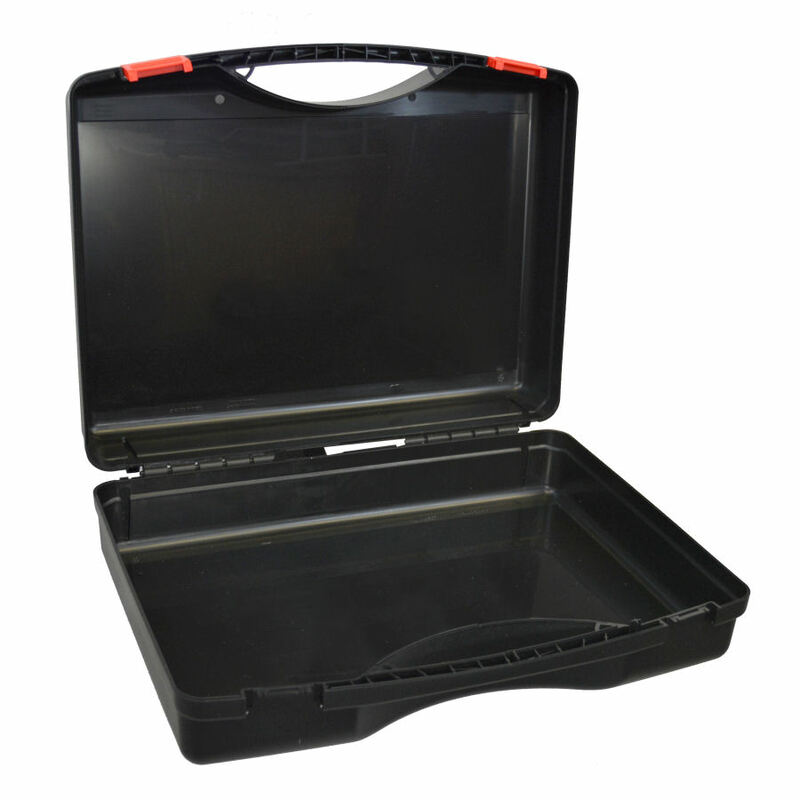 17.43" x 12.75" x 5.12"
Designed with a modern European feel, this Economy Select case makes a bold statement without the bold price. 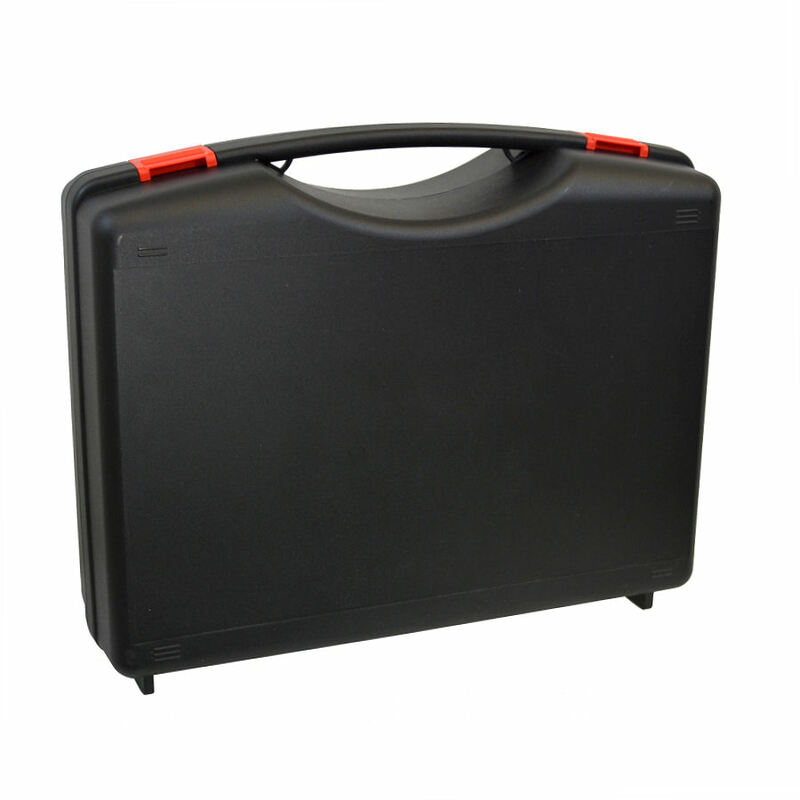 Brightly colored latches and curved edges make this case perfect for use as product packaging or as a sturdy stand alone carrier. 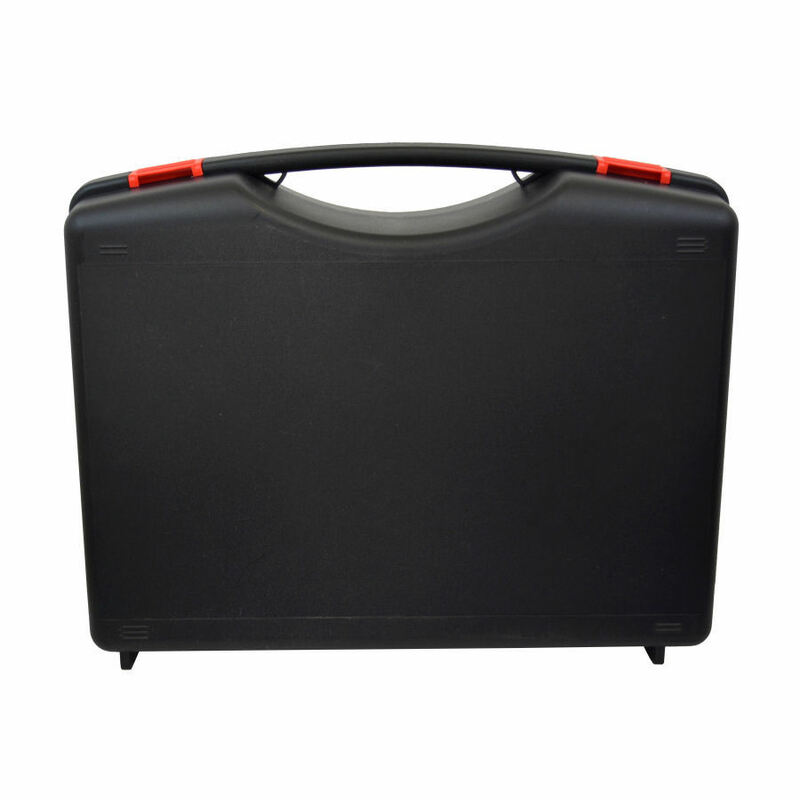 These cases are injection molded from polypropylene -- food suitable, strong, cold resistant and environmentally friendly.